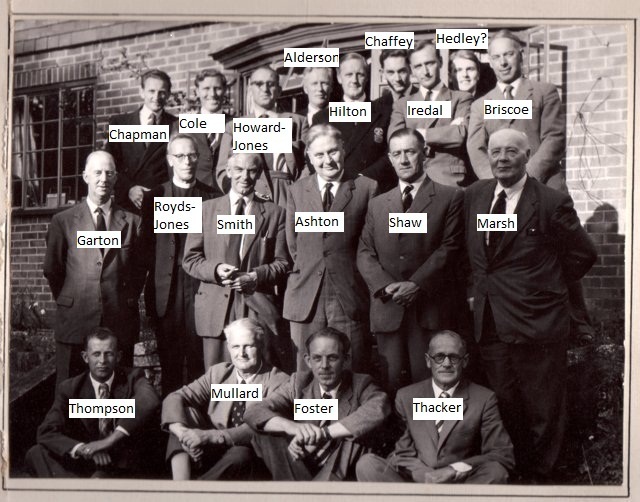 I found this foto on the Price's Website some time ago and have annotated it with the names I can remember, but a few are have been erased from memory and are lost in the mists of time. Can you place any of them? One of the two between George and the Wick or between Thompson and Tim Foster may be "Duck" Mallard and I have hazy memories of a teacher called Smythe who may be one of them. 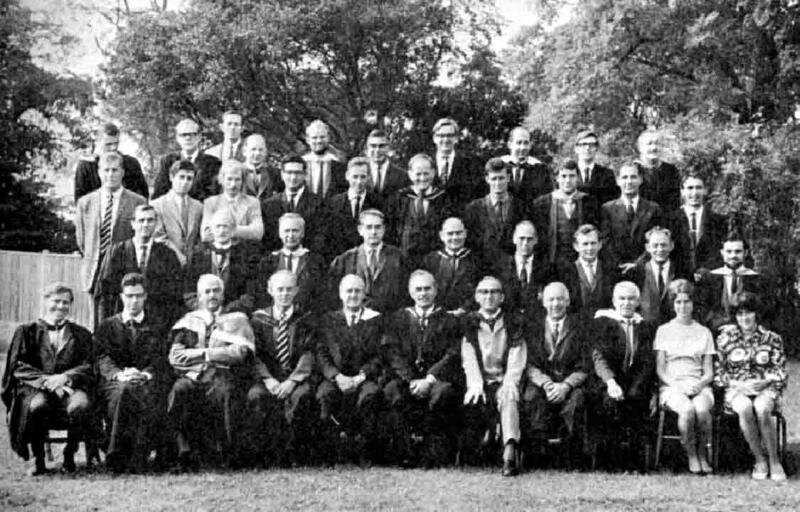 In the back row I think there are some prefects or house captains, as I am sure I recognise Roy Kilford. and the fellow to the right of Tom Hilton looks remarkably like my memory of Charlie Scale, but I am sure I will be proved wrong in both cases. I wonder what Boggy Marsh was doing in this photo. It must have been taken a while after he left. The only teachers from our period who I miss here are Keevil and "Isiah". Any thoughts? I wonder when it was taken? A wild guess would be about 1956/57. Correction - Mollard not Mullard! appointed to teach geography, Hedley was my assistant until I left in 1963, to become Head of Biology Gravesend Grammar school for boys. Retired now,(aged 76) live Symonds Yat, Herefordshire. Welcome news of others in photo.